Put on your dancing shoes and get ready for some foot-stompin’ fun as the Lowell Folk Festival takes over downtown for a weekend of live music, street food from around the globe, and craft demonstrations for all ages. The nation’s largest free festival hosts concerts on five stages, kicking off Friday with the historic Aqua String Band from Philadelphia. For your complete Folk Festival schedule click here, and read on for highlights from some of this year’s must-see acts. From Eunice, Louisiana, The Savoy Family Cajun Band is the closest thing you can get to real Cajun sounds outside of Louisiana. 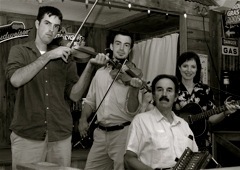 The family is known for their lively fiddle expertise, booming accordion, and authentic Cajun style vocals. An accordion aficionado who expertly crafts instruments at the Savoy Music Center in Eunice, Marc Savoy has a passion for sharing the art of Cajun style music with others. Joined on stage by his wife Ann Allen and his sons Joel and Wilson, Marc Savoy leads the family band known for their high-energy music that often has fans up and out of their seats. Raised in the small town of Eunice, Marc Savoy began his life as a musician at a young age, taking up the accordion at 12. Ann’s musical roots began at the age of 10, and the couple’s shared love of music has had them touring together since 1977. Their two sons fell right into the musical gene pool, both of them becoming renowned Cajun fiddle artists. The family’s musical abilities have been praised for years. Joel Savoy spent time working with artists like Linda Ronstadt and Steve Miller, being hailed as an outstanding fiddle player by Ronstadt. Wilson Savoy is an avid filmmaker and has produced films for many bands in Louisiana. Both sons appear as musicians in the Sean Penn film “All The King’s Men.” Join the family of four as they bring the intense and melodic sound of Eunice to the Lowell Folk Festival. Check out the band here. Sunday July 31: 4:30-5:45p.m. at Dutton St. Dance Pavilion. 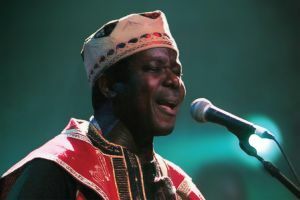 From Nigeria, King Sunny Adé has been a leader in the transformation of Nigerian music known as Juju for more than 45 years. 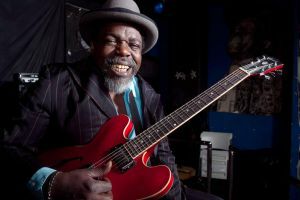 Born into royalty, King Sunny Adé takes his traditional Yoruba praise music, adding lively guitar riffs and wailing keyboards to continue the tradition of Juju. Beginning in the 1900s with the introduction of guitars, banjos, and other instruments, Juju has transformed to include lead and percussion instruments from all over the globe. The energetic King Sunny Adé brings the traditional sounds of Nigeria to fans everywhere. Check out band performances here. From Memphis, Tennessee, Jason D. Williams started his musical career at the age of 16, leaving his sunny hometown of El Dorado to perform with legendary Sleepy LaBeef in New England. Jason began his recording career in the ‘80s, and he’s been on top of the rockabilly scene ever since. With lightning fast fingers on the piano that have landed him powerful roles in films like “The War Room” and giving inspiring performances as the hands of Dennis Quaid in “Great Balls of Fire.” Jason has made several TV appearances on music-themed channels like MTV, VH1, and CMT. Eventually finding himself in the musical mecca of Memphis, Jason rose quickly as one of the most talented rockabilly performers to touch the keys, seemingly going wild at every one of his shows (over 160 a year). 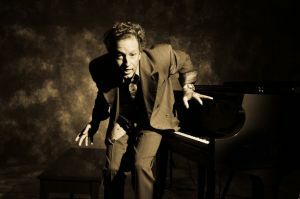 Jason studied the greats like Jerry Lee Lewis, Memphis Slim and Al Jolson, emulating not just their styles, but their seemingly endless amounts of stage energy. Backed by his talented rockabilly band and a mic by his side, Jason digs deep into his keys to bring the heart and soul of his piano to life. Check out the band here. From Chicago, Illinois, Lurrie Bell is the son of famed harmonica virtuoso Carey Bell, who played with blues masters like Muddy Waters. With heavy guitar riffs, screaming harmonica, and a booming voice, Lurrie Bell and his band fill each set with moving blues sounds that rumble in your ears. Check out the band here. Fri., July 29 7:15-8:30pm at Dutton St. Dance Pavilion. Sat., July 30 5:15-6:30pm at Dutton St. Dance Pavilion. Sun., July 31 1:45-3:00pm at Dutton St. Dance Pavilion. Sun., July 31 5:15-6:15pm at Boarding House Park. From New Orleans, Louisiana, Deacon John has been a staple in the New Orleans blues scene for over half a century. 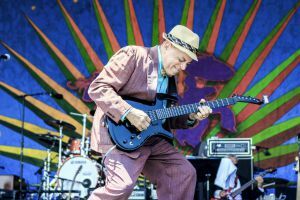 Adorning a suit on stage and strapped to one of his many colorful electric guitars, he lives for the jump blues. Balanced between rhythm and blues, gospel and rock & roll, Deacon John tears up the stage with his jump blues specialty. An up-tempo style, jump blues relies on rhythm and blues, with a hard swinging horn section, topped off with Deacon John’s soulful guitar riffs and reverberating solos. A student of music since a child growing up in New Orleans, Deacon John’s mother played piano, and his grandfather was a banjo player. John also grew up with twelve sisters and brothers, who played almost as many instruments as numbered siblings. By seventh grade, John was teaching himself to play guitar and singing R&B. His lifetime career of music has been held locally compared to many artists, but that is why Deacon John is considered one of the most talented and beloved bandleaders in The Crescent City. Check out the band here. 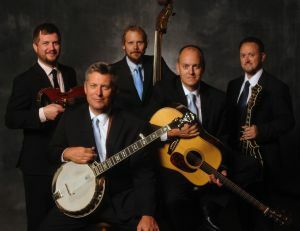 From Upstate New York, The Gibson Brothers are considered some of the finest bluegrass players north of the Mason Dixon line. The brothers combine the twangy plucking of the classic southern banjo and the soft strums of country guitar. Singing in harmony, the Gibson Brothers’ voices blend together seamlessly, making it hard at times to pick out where one voice starts and another ends. The dreamy sounds of their softer music is matched by their ability to adorn an uptempo style, a spectacular foot stomping experience. Their musical career began as two brothers who decided that dairy farming just wasn’t their bid in life. Leigh and Eric began as middle school banjo and guitar players, inspired by folk, bluegrass, country and the close-by countryside. Having been raised just outside of Canada, the absence of authentic local bluegrass musicians left Leigh and Eric to create their own bluegrass sound. The Gibson Brothers have released 9 albums to date, showing their mix of traditional bluegrass and their own unique take on the lively music. Check out the band here. The tradition of Inuit throat singing dates back hundreds, if not thousands of years. Twelve-year-old Samantha Piujuq Kigutaq and 11-year-old Cailyn Nanauq DeGrandpre are from Ottawa and have studied the art of throat singing for most of their lives. The singing is a balance between a deep huffing foundation and a higher, almost whistling melody. 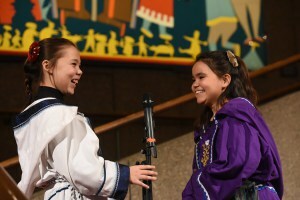 Samantha and Cailyn have began learning the tradition at the Ottawa Inuit Children’s Centre, becoming friends and performing together at an early age. They took Canada by storm when they became an internet sensation at Canada’s swearing-in of Prime Minister Justin Trudeau. They now perform as Tarniriik, the Inuit word for “two souls.” Check out performances here. Sat., July 30 12:10-12:30pm at Market St.
Don’t forget to check out the full festival line up, with a guide to local eats and craft demonstrations here.